bar handles. The blanket is full shirred. handles to assist in carrying the casket. 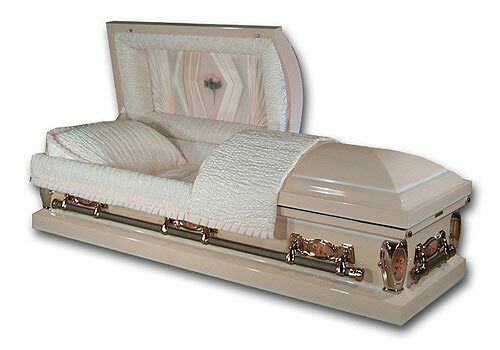 NOTE - Full Couch Casket Design is available with a $200 upgrade. Since it is custom, 1-2 days extra are required to complete order. available for an additional charge. Call for quotes.